With the holidays over and some rather cold weather settling in for a few days, I was looking for something from the warm and comfort food category. 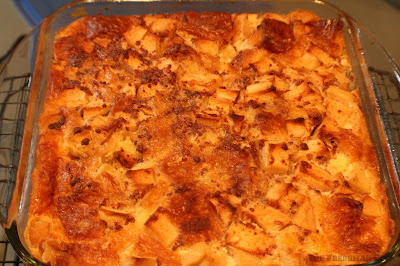 That is where this Cinnamon and Apple Croissant Bread Pudding comes in. There are few recipes as basic as bread pudding, but it is also versatile, tasty and great for using up leftovers. This bread pudding is one of the lightest ones I have ever had, and I give credit to the croissants for that. The apples add a small bit of crunch, while the cinnamon and the chocolate drizzle tie up the comfort food in a bow. Chop up the croissants and place them in a square 9x9 dish. You could also use an 8x12. Use a large saucepan to mix together the heavy cream and milk. Add in the vanilla bean also. 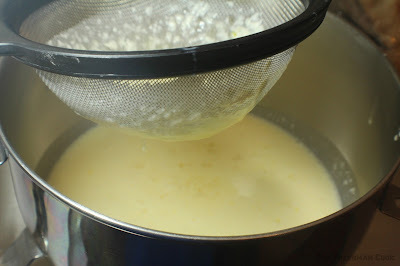 Stir often to make sure it doesn't burn and bring it to a simmer, but not a boil. Remove from heat. 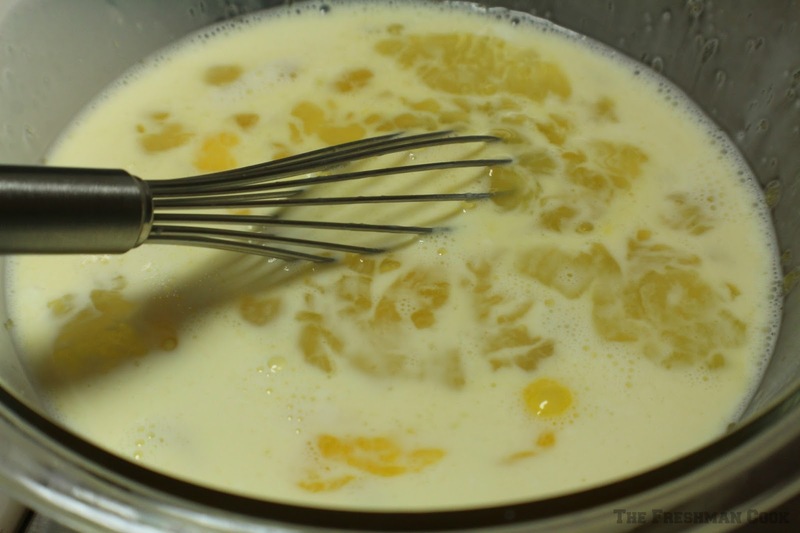 In another bowl mix together the eggs and sugar with a whisk. Start adding the hot cream, whisking as you add it. Strain into a large bowl. This will make the cream mix very smooth. Chop the Granny Smith apples in to small bite size pieces. Add the apples to the chopped croissants in the dish. Pour the cream mix over the croissants and apples. Sprinkle cinnamon over the top. 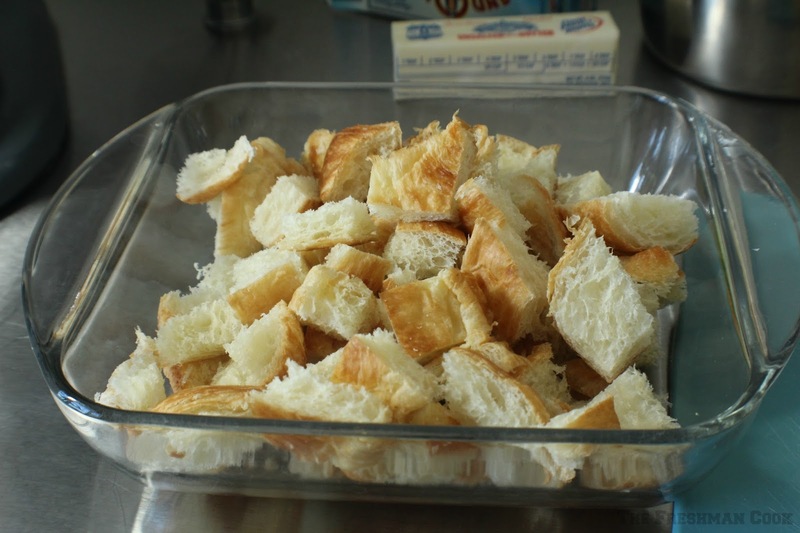 Place the bread pudding in a water bath. 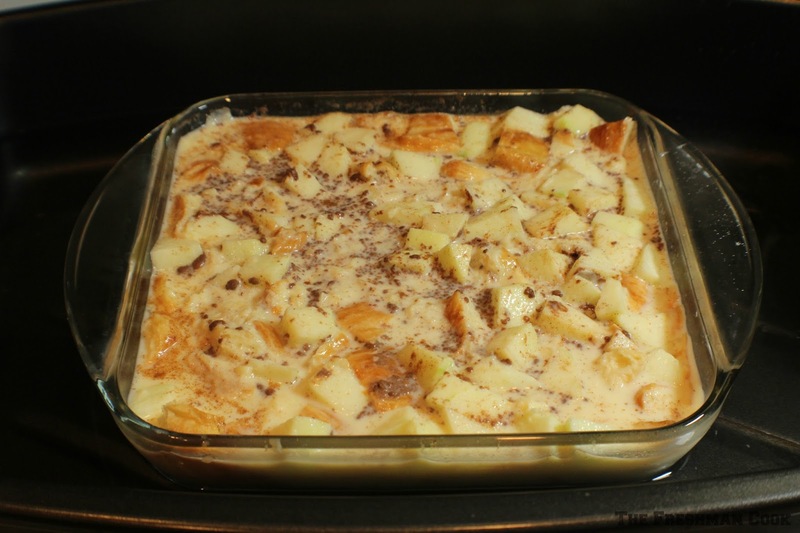 Get a large pan that the pan with your bread pudding will fit in. I used a roasting pan. Place the pan of bread pudding in the center. Add water to the large pan until it is halfway up to the top of the pan with your bread pudding in it. Bake for 45-60 minutes. If you use an 8x12 pan like I mentioned above, the time might be slightly less, but keep a close eye on it. 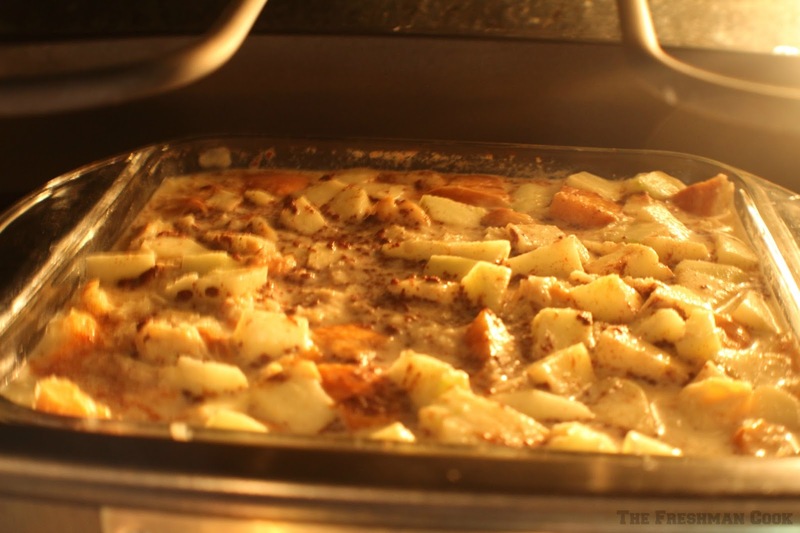 Remove the bread pudding from the oven and let it cool completely. It can be refrigerated overnight if you are making it ahead of time. 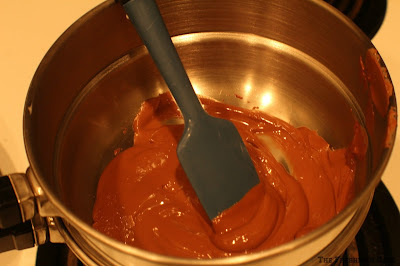 Melt your milk chocolate in a double boiler on low. 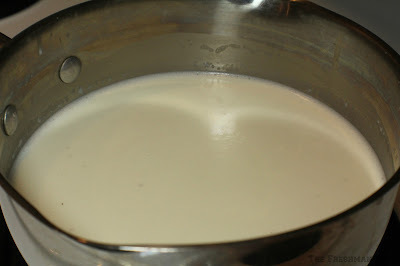 Heat up about 3 tablespoons of heavy cream until it is warm but not hot. I use the microwave. Take the chocolate off the heat, and pour the cream, a little at a time, into the chocolate, stirring the entire time. Add more as needed until the chocolate is smooth. Always add warm cream to the melted chocolate. Otherwise the chocolate might seize and be ruined. 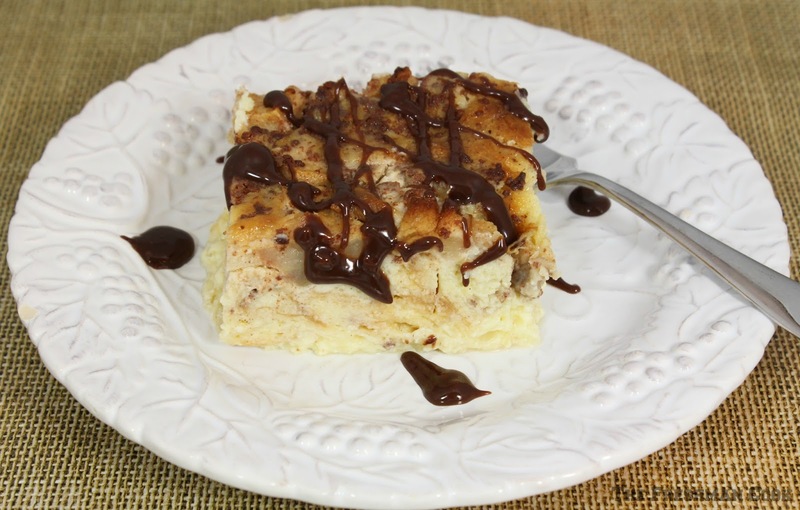 Drizzle the chocolate over the bread pudding. 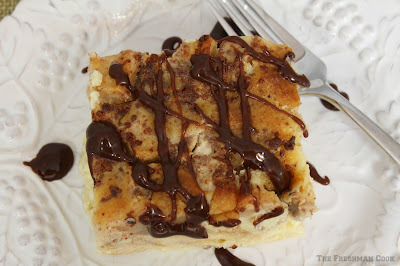 This bread pudding can be enjoyed hot or cold! Drizzle anything in chocolate and I am there! I love the idea of using croissants for bread pudding and this is the perfect time of year for such a classic comfort food dessert! My oh my what a comforting treat! A perfect and delicious way to use up leftovers. When you added that vanilla bean, I just melted. Yum. Yum! Perfect for winter. Love the chocolate drizzle. Absolutely brilliant. 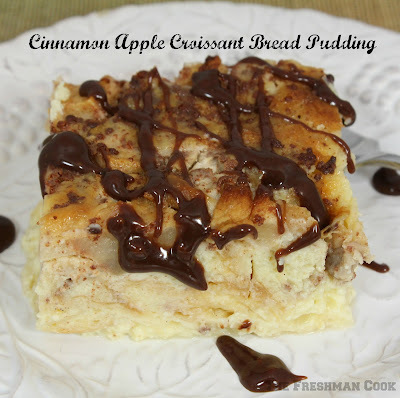 I like the addition of apples, I imagine it helps too in keeping this from being a "heavy" bread pudding. Sounds perfect for this time of year. I just can't seem to get and stay warm. I'm sure this would help. Thank you Carlee! I feel that way about chocolate also!The croissants really made the bread pudding very lite. 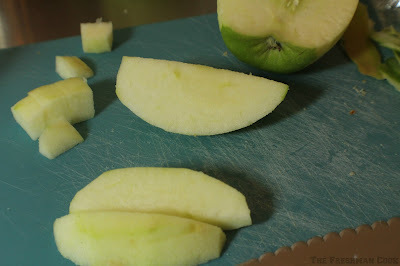 You are right Wendy!I was thinking about making it again using some pears that need to be used soon! Haha Terri! That was my last one, so I guess I need to replenish my stash! Haha! I was actually thinking about a caramel drizzle, but I thought it might be to fallish. I still think it would be yummy though! Thank you Lauren! Yes, I liked it with the apples. I am thinking pears would work well, and maybe cranberries. Kathleen, it has been cold here in North Carolina too! Luckily, we are supposed to be having a warm up this weekend! Stay warm! Oh it looks so good! 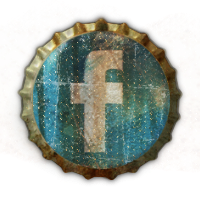 I'll have to try this one soon, thanks! Absolutely delighted that you didn't have sultanas in it. This is one I will try. I need to make this on Downton Abbey night. Oh my goodness - this looks and sounds absolutely delightful! I have got to make it! Your Cinnamon and Apple Croissant Bread looks fantastic. 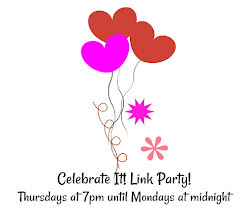 Thanks so much for sharing with us at Full Plate Thursday this week. 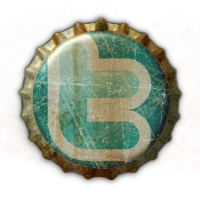 Hope you are having a great day and come back soon!